UPDATED: Sat., March 30, 2019, 12:33 p.m.
PORTLAND – Federal legalization of hemp arrived in the U.S. late last year and expanded an industry already booming because of the skyrocketing popularity of CBDs, a compound in hemp that many see as a health aid. Truckers, now free to haul hemp from state to state, have been stopped and sometimes arrested by police who can’t tell whether they have intercepted a legal agricultural crop or the biggest marijuana bust of their careers. That’s because the only way to distinguish hemp and marijuana, which look and smell alike, is by measuring their tetrahydrocannabinol, or THC, and officers don’t have the testing technology to do so on the spot. Marijuana, illegal under federal law , has enough THC to get users high. Hemp has almost none — 0.3 percent or less under U.S. government standards — yet drug-sniffing dogs will alert on both. Field tests that officers now use can detect THC but aren’t sophisticated enough to specify whether a shipment is legal hemp or low-grade illegal pot. In a sign of the significance of the problem, the U.S. Drug Enforcement Administration earlier this month put out a request for information on private companies that might have the technology for field tests sensitive enough to distinguish between hemp and marijuana. It’s an unanticipated hiccup for the rapidly growing hemp industry, which relies on interstate trucking to transport hemp from farms to processing labs that extract the compound cannabidiol, or CBD, from the raw plant material. The pure CBD powder is then resold for use in everything from makeup to smoothies to pet food. To further complicate the issue, states that already have their own hemp programs must have them approved by the U.S. Department of Agriculture, which could take months. Frank Robison, a Colorado-based attorney specializing in such cases, said he has about a half-dozen clients in similar situations in other locations. He declined to provide more information, citing his clients’ desire for privacy. “What local law enforcement is doing is they’re stifling an industry that Congress intended to promote to help American farmers and help the American economy — not to make people nervous that they’re going to get tossed in jail over a (THC) discrepancy,” said Robison, who represents one of the companies involved in the Oklahoma case. Robison and others hope the USDA will work quickly to create rules for validating hemp shipments that local law enforcement could use instead of relying on THC field tests, such as state agricultural certificates or lab certificates. That way, police could let a suspicious load through without arrests and if the hemp samples come back high in THC from testing done in a lab setting, authorities could pursue the grower or shipper after the fact. Andrew Ross, a Marine who served in Afghanistan and Iraq, is facing 18 years to life in Oklahoma if convicted after he was arrested in January while providing security for a load of state-certified hemp from Kentucky. Ross and a colleague were riding in a van behind a semi-truck filled with the plant that ran a red light and was pulled over. That wasn’t enough for the officers. They tested the shipment and found it contained THC — although not how much — and arrested Ross, his colleague and the two truck drivers. The charges against the drivers eventually were dropped, but their 18,000-pound (8,165-kilogram) cargo with a value of nearly $1 million after processing still is being held. Ross posted bail and continues to run his hemp transport business, Patriot Shield Security, from Denver while awaiting trial in Oklahoma. He said potential customers from places like Nevada, West Virginia and Wyoming say they now are afraid to send their hemp out of state. 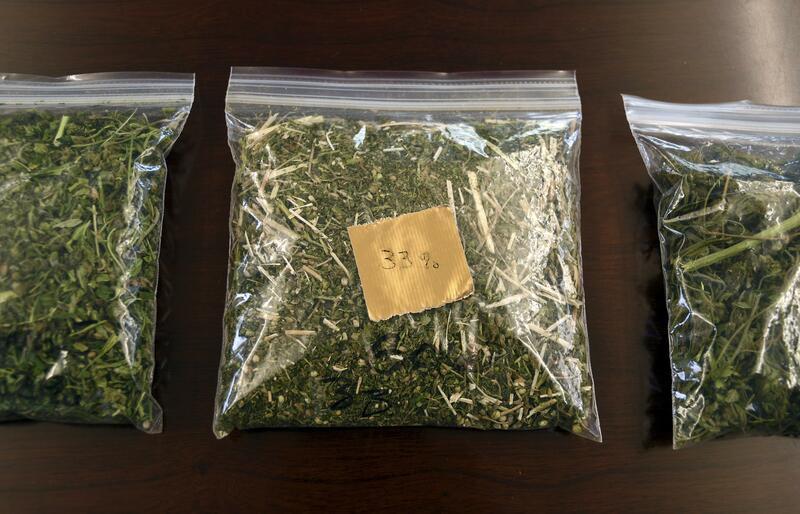 Osage County First Assistant District Attorney Michelle Bodine-Keely said the seized hemp was still being tested. Some samples sent to a DEA lab in Washington, D.C., came back within the legal range for THC, but several were over, she said. Based on the results so far, Bodine-Keely said she’s not convinced it’s all hemp. “Part of it is hemp, and part of it is marijuana. It’s an ongoing case, and not only is it an ongoing case, it’s still an ongoing investigation,” she said. Published: March 29, 2019, 5:31 p.m. Updated: March 30, 2019, 12:33 p.m.